At the end of sixth grade my teacher passed out superlative awards. My classmates’ honors included “Most Athletic” and “Best Attitude.” I won the “I Hate Math” award, disappointing my left-brained parents. I spent the entire year scribbling that phrase over every timed multiplication quiz I refused to participate in. Ten years later I’m less blatantly honest with my teachers, but the sentiment remains the same. Unfortunately regardless of major, college means more math classes. For me (and many less numerically talented students), the worst of these classes is incarnated in finite math. 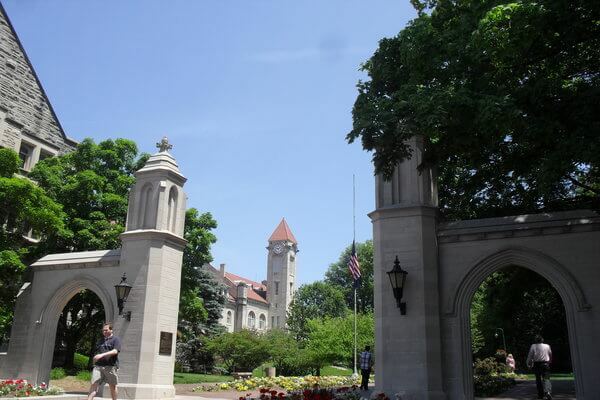 At Indiana University finite math holds a GPA-wrecking, sleep-depriving reputation. Freshmen are forced into overgrown lecture halls around sunrise three times a week. For many the class proves so difficult that they drop it, only to suffer again the next semester. Fearing an inescapably torturous 8 a.m. lecture, I immediately began looking for loopholes. Taking the class through a community college online allows students with math-induced anxiety like myself to get their beauty sleep, take their time and use a calculator. I spent the summer after my freshmen year slumped over a bulky textbook and solving for x. I earned an A and thought that maybe the nightmares of Finite stemmed more from the lectures themselves. Maybe my sixth grade teacher incorrectly labeled me as a student who struggled with math all along. Two years later I took my last math class, statistics for journalists. Finally I found an environment where every single person in my class hated math as much as I do. The professor tasked with steering us through probabilities and percentages began to sip water nervously every time the class began to turn against him. The questions asked were usually along the lines of “I don’t understand a single thing you just said, can we go back?” Nevertheless, I walked out of that final confident in the safety of my GPA and sold my textbook, while silently vowing to never take another math class in my life. Next semester I had my advising appointment for senior year. I got called into the advisor’s office (who shall remain nameless, but is notoriously not helpful) and things quickly went south. We spent the first 10 minutes of our meeting discussing my hair. I failed to realize how uncombed, tangled braids lacked the sophistication needed for a basic scheduling appointment. Noted, but I’m set in my ways. Sufficiently annoyed, she then dropped the bomb on me. The finite class I took two years ago transferred as the incorrect class at IU. I argued for a few minutes that I knew it used the same textbook and that it covered the same topics, but she refused to budge. I mentally weighed the pros and cons of my options. Take finite at IU at 8 a.m.? Not a chance. Drop out of college and marry a wealthy older man? My mom would cry and probably not let me wear her vintage 1986 wedding dress, but I wouldn’t need to dig up my graphing calculator. Enroll at community college one more time and make sure it’s the right class? $400 later and I have a mental list going of everything I would rather spend that money on (pizza and tacos). Some things in college fail to live up to expectations; love, your freshman year roommate—both vastly disappointing. I can assure you that finite is as horrendous as the graffiti on the desks of Rawles Hall say. I decided to take Finite online (again) through a local community college after double-checking that the credits would transfer towards my IU degree. Taking the timed quizzes at the kitchen table back home with my mom peering over my shoulder turned me into a monster. I found myself transformed back into the angsty sixth-grader who got sent into the hallway for refusing to participate in the “Math Olympics.” I snapped at my engineer, “I take calculus for fun” mother as she tried to help me. Left alone to glare at my graphing calculator, I reflected on my actions. Why do I even care if I do well in this class? I just have to pass. When I apply for jobs at museums or news organizations, my math skills will be only a minor deciding factor (if at all). Am I really going to ruin my relationship with my mother just to spite my sixth grade teacher who told me I was bad at math? If you’re struggling through a required math class right now and hurting those you love, take a breath (read: take a shot) and stop. In the real world you don’t need to augment matrices. This may be the worst semester of your life but everyone goes through it and comes out more or less okay.